Chicken Pakora| Chicken Pakoda| Kerala style chicken pakoda recipe - When ever I get to think about these chicken pakoras, I am reminded of Eid iftars, the evenings that are normally filled in with these crunchy snacks. We get these yummy crunchy chicken pakora at Muscat Bakery. 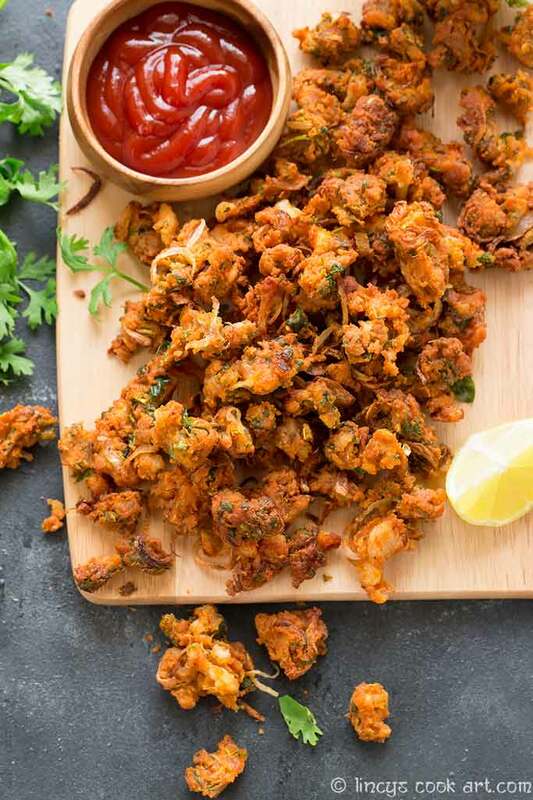 We go bonkers for the taste and flavour of those yummy pakoras prepared in South Indian style. Those are actually super crisp and tastes really yum. 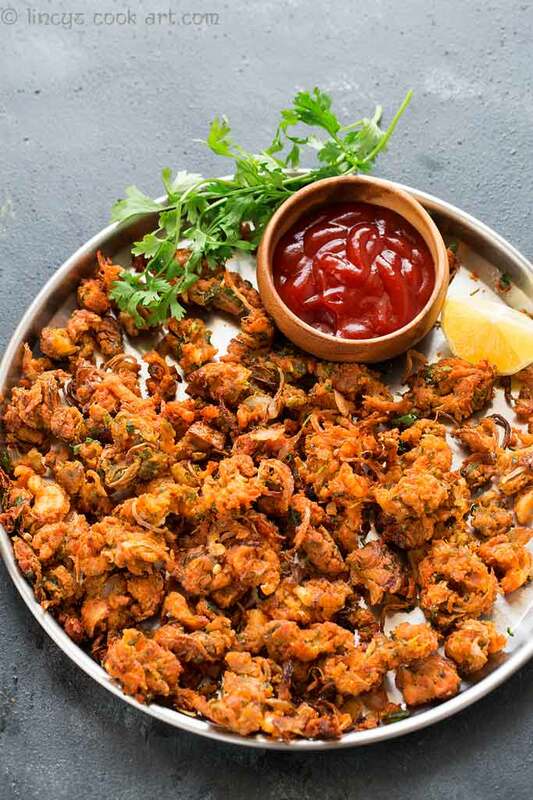 I could not stop eating this yummy pakoras even if my stomach is absolutely so full. So i tried to mimic the recipe here. I reckon they have precooked the meat and prepared the pakoras. I had chopped the chicken finely as much as possible and made these pakoras. I was quite happy with the outcome and thoroughly enjoyed the dish with a hot cup of tea. 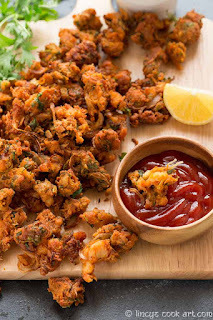 I have already shared with you Spinch Pakoras, Onion Thool Pakoras recipe. 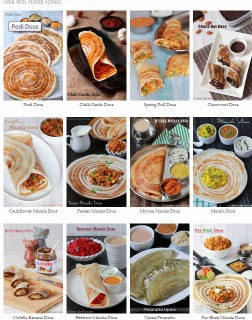 Do check and prepare all these yummy snacks in these breezy evenings. Clean the chicken and chop the pieces in to really thin strips. In a deep bowl add the chicken strips, salt, ginger garlic paste, turmeric powder, chilli powder, fennel powder or seeds, chopped onion, green chillies, coriander leaves and curry leaves. Then add the gram flour, rice flour, corn flour; mix every thing with hand to evenly mix together. Now drizzle 2 tablespoons of oil over the mixture and sprinkle some water if necessary and mix well to get a wet but slightly dry mixture. If you take some loose mixture with hand it has to hold its shape that show the right consistency of the mixture. Heat oil in a pan well and reduce the flame to low and start frying the pakora. 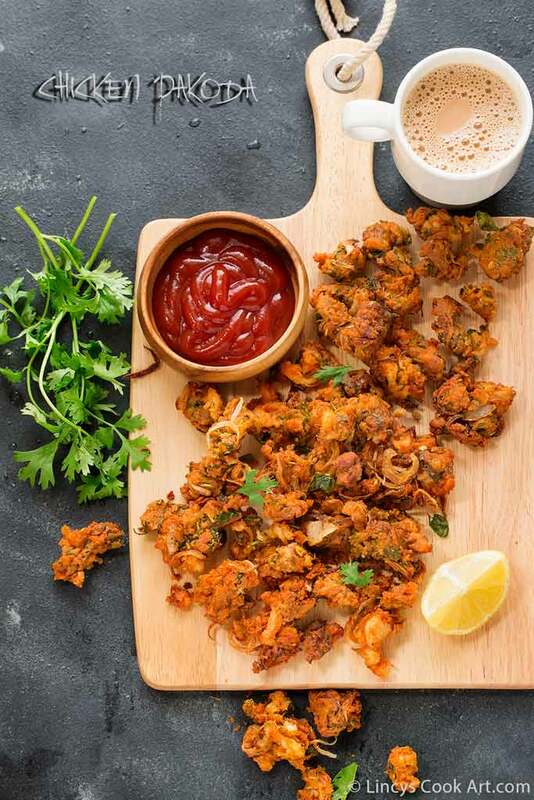 For chicken pakora take hand full of mixture and spread the mixture in to small pieces by pinching the mixture in hot oil. 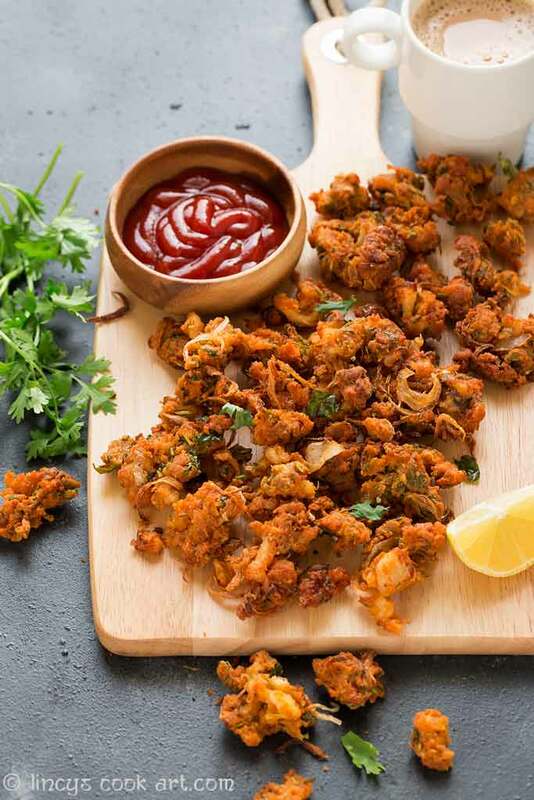 For normal pakoras take a small gooseberry sized batter and drop in hot oil and fry till crispy and golden brown colour appears. You could replace corn flour with 1/2 -1 teaspoon of baking powder too. Adding corn flour is optional but it makes the pakoras to stay crsipy for longer time. You could add a pinch of red food colour to get red colour which looks same like store bought pakoras. Adjust the spice level accoding to your taste.